''THE LARGEST ONE STORY CUSTOM HOME ON THE MARKET IN BOCA ISLES, POSSIBLE 6TH BEDROOM/BONUS ROOM.'' ONE OF THE MOST AMAZING HOMES TO EVER COME ON THE MARKET IN BOCA ISLES! OVER 3380 SQUARE FEET OF AIR-CONDITIONED LUXURIOUS LIVING SPACE. BONUS ROOM/ OPTIONAL 6th BEDROOM. 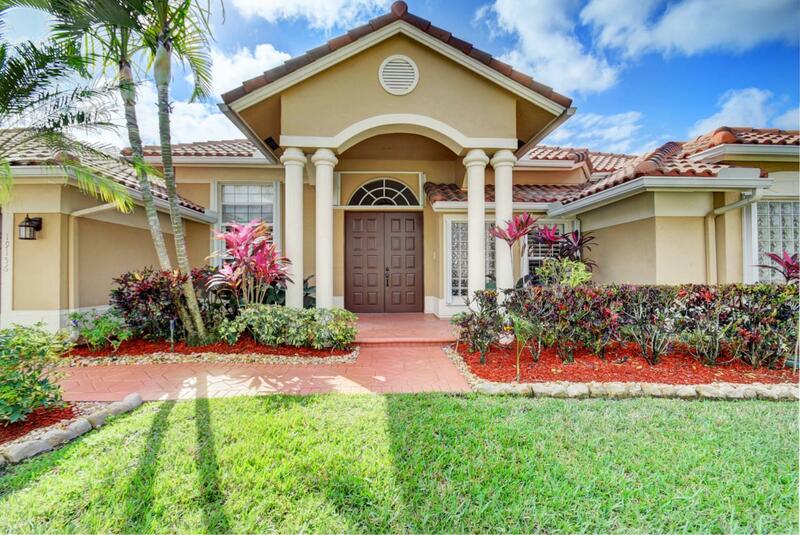 THIS ONE-STORY POOL HOME IS FULLY EQUIPPED WITH DESIGNER TOUCHES THROUGHOUT AND IS LOCATED ON A MAGNIFICENT WATERFRONT LOT. THIS 5-BEDROOM CUSTOM ESTATE HOME PLUS OFFICE OR DEN AND 4 FULL BATHROOMS HAS BEEN COMPLETELY UPDATED. 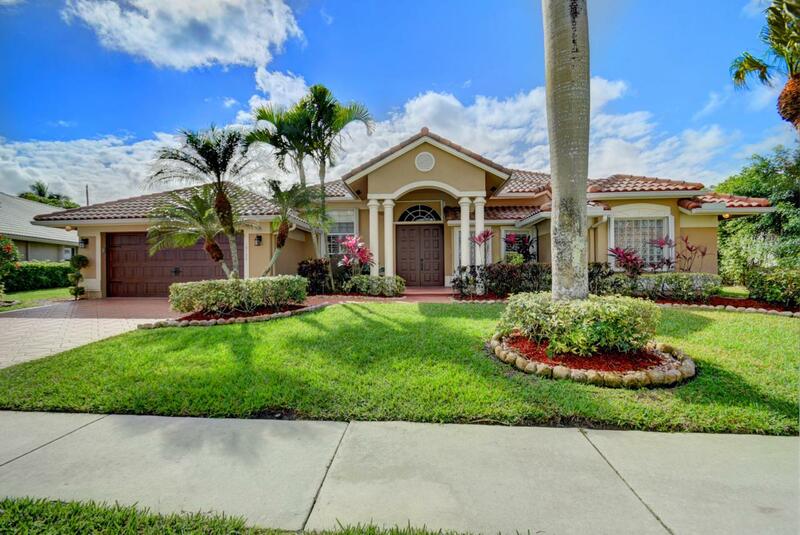 TROPICAL LANDSCAPING WELCOMES YOU TO A DOUBLE DOOR ENTRY WITH INVITING OVER-SIZED FOYER. THE 3-WAY SPLIT FLOOR PLAN ALLOWS FOR PRIVACY AMONG THE 5 BEDROOMS AND 4 BATHS. THE SPACIOUS MASTER SUITE HAS A WALK-IN CLOSET WITH CUSTOM BUILT-INS. THE UPDATED MASTER BATHROOM IS COMPLETE WITH DOUBLE SINKS,MARBLE TILE, STEAM SHOWER, DOUBLE VANITY AND MORE. EACH OF THE 4 BATHROOMS HAVE BEEN BEAUTIFULLY UPGRADED IN ADDITION TO THE RE-DESIGNED LAUNDRY ROOM. THERE IS ALSO A LARGE BONUS ROOM WHICH HAS BEEN ADDED TO THIS HOME AND CAN FUNCTION AS AN ADDITIONAL FAMILY ROOM OR GYM IF DESIRED. THE GOURMET KITCHEN IS A PURE DELIGHT. ITALIAN HIGH GLOSS CABINETRY WITH BEAUTIFUL GRANITE COUNTER TOPS AND TOP OF THE LINE APPLIANCES INCLUDING A 6-BURNER INDUCTION COOK TOP RANGE. THE FORMAL DINING ROOM IS PERFECT FOR FAMILY GATHERINGS. 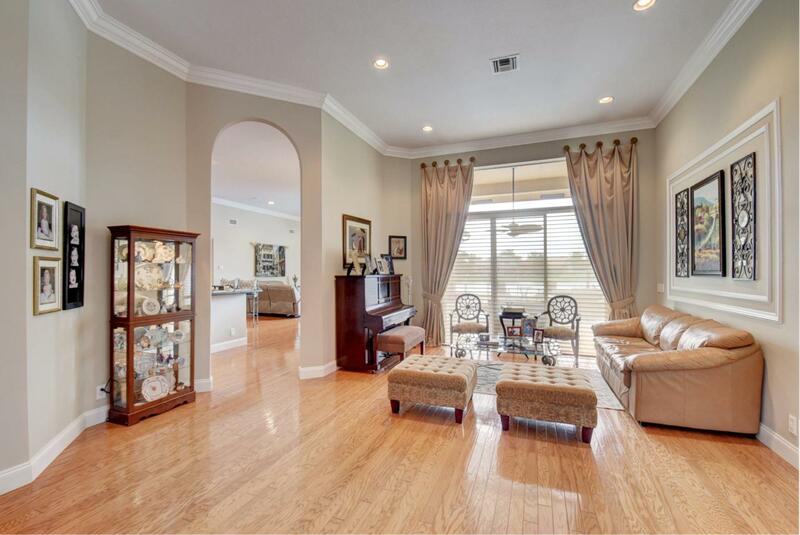 THE OPEN LIVING ROOM HAS BEAUTIFUL VIEWS OF THE POOL AND LAKE. THE KITCHEN OPENS TO THE VERY LARGE FAMILY ROOM WITH A STUNNING STACKED STONE ACCENT WALL AND BREAKFAST ROOM. THE ENTIRE HOME HAS HARD WOOD FLOORS AND SUPERIOR WINDOW TREATMENTS WHICH INCLUDE PLANTATION SHUTTERS. CUSTOM CROWN MOLDINGS ARE THROUGHOUT AS WELL AS BASEBOARD MOLDING. THERE ARE NUMEROUS EXTRA CLOSETS FOR STORAGE. THE LARGE COVERED PATIO ALLOWS FOR WONDERFUL FAMILY GATHERINGS. THE HOME HAS ACCORDION HURRICANE SHUTTERS ON EVERY WINDOW AND A NEW HURRICANE RATED GARAGE DOOR AS WELL AS A NEWER ROOF (2009). THE OWNERS HAVE SPARED NO EXPENSE IN THIS WONDERFUL FAMILY HOME WITH HUNDREDS OF THOUSANDS OF DOLLARS IN PROFESSIONAL UPGRADES. 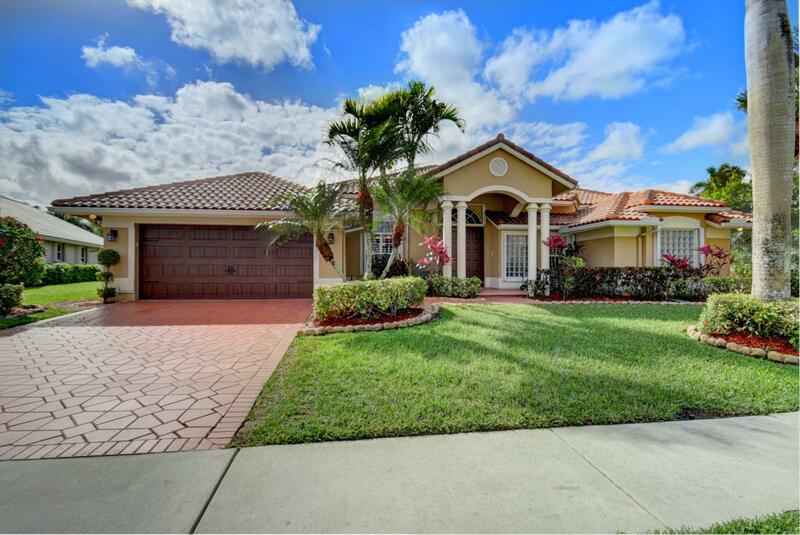 TOP RATED A SCHOOLS COMPLETE THIS WONDERFUL BOCA ISLES LOCATION.